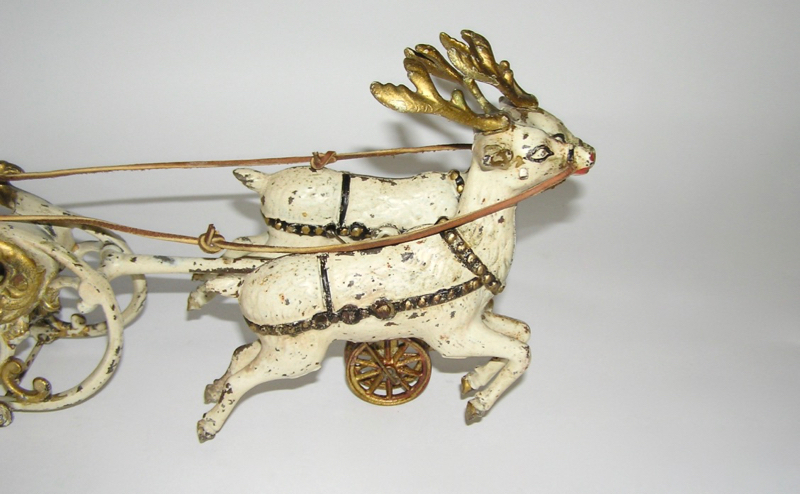 Here is a wonderful antique item - just in time for the Holiday's. 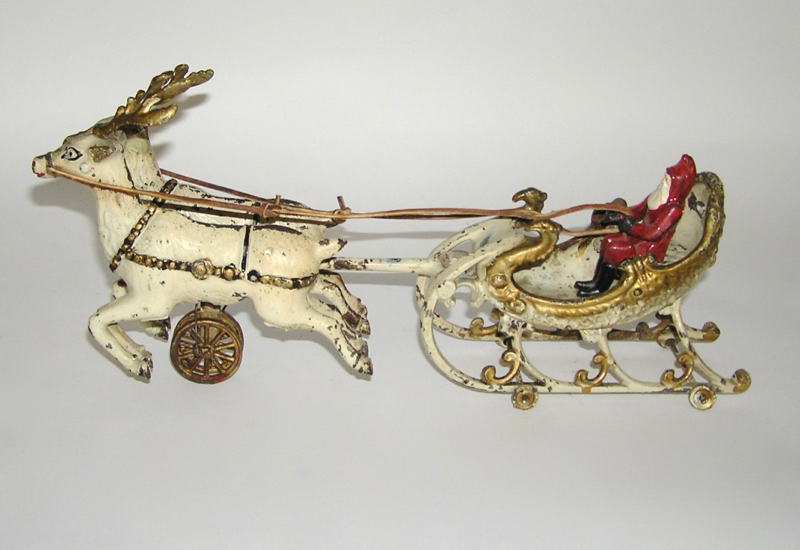 This is called SANTA IN SLEIGH - by Hubley. 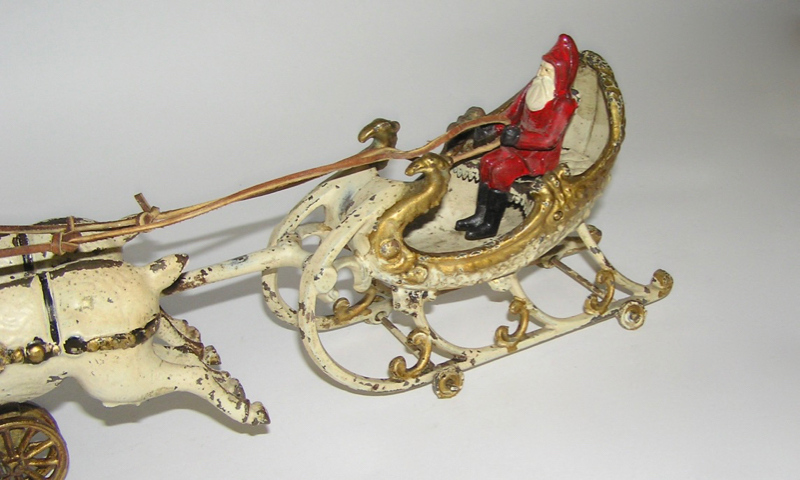 This Sleigh with its Santa Claus driver is today, among the most highly sought after of Hubley Cast Iron Toys. 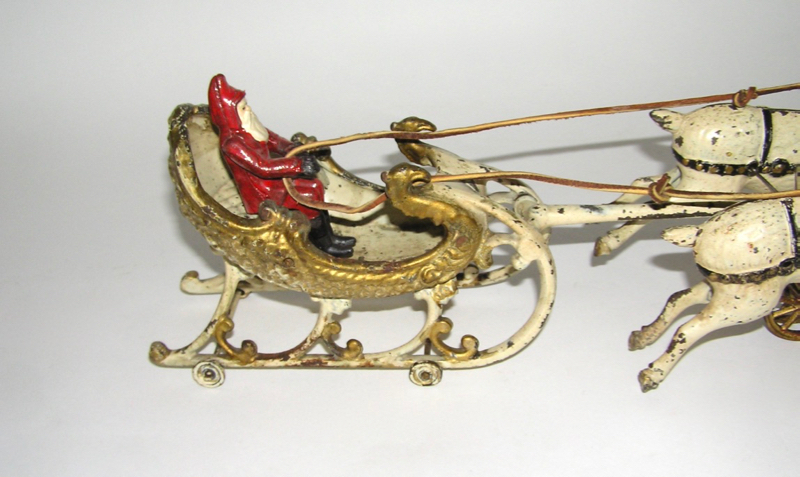 Made in the early 1900s, this is a guranteed original Hubley toy that looks like someone a long time ago decided to enhance the gold highlights. 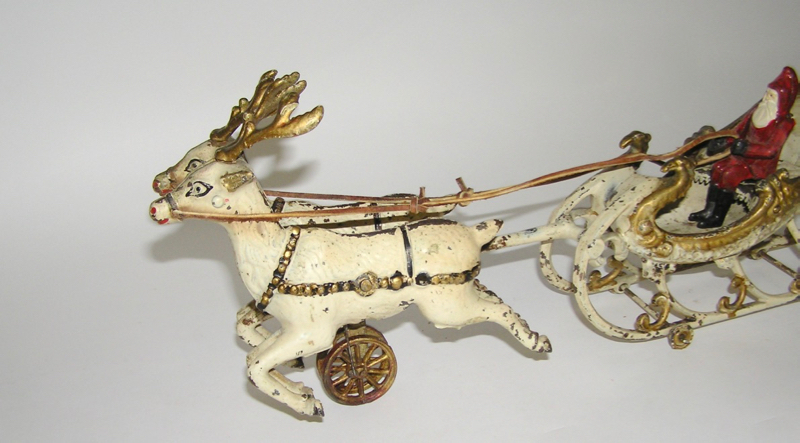 Made from all cast iron, this uniquely casted toy depicts Santa riding in open sleigh, drawn by two reindeer, painted in white and w/ gold and black trim. The toy measures approx. 16" long. Condition is very good, with no breaks or cracks as seen in pictures. Santa is a replacement figure. 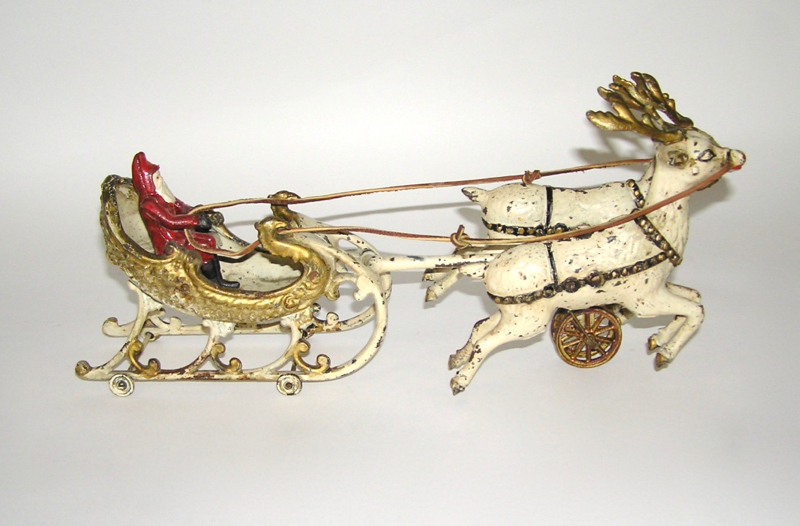 Wonderful for your Holiday displays. Don't miss, and please ask any questions.